The carbamide peroxide is a skin, eye and respiratory irritant. It is also corrosive and causes burns. It does not cause injuries at 10% concentration but it might at 35% concentration hence causing white chemical burns on the skin and gums alike. It is commonly used in cosmetic dentistry as a carbamide peroxide teeth whitening gel. A 10% solution in glycerol is used as a relief for minor ulcer, canker sores or gum inflammation. A 6.5% concentration solution is used to loosen and remove earwax. There will be very specific instructions on the box or a manual when you buy the carbamide peroxide teeth whitening gel. 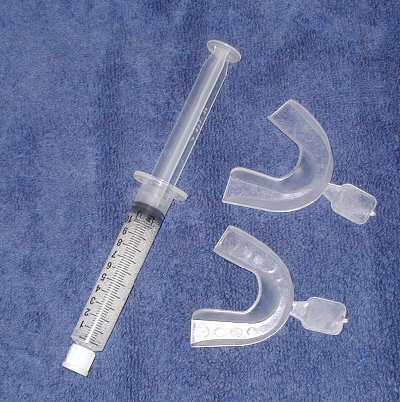 The kit usually comes with a tray and a syringe filled with carbamide peroxide teeth whitening gel. The steps are quite simple, load the tray with the carbamide peroxide teeth whitening gel according to the instructions and do not forget to follow the specific amount. Place tray which is loaded with carbamide peroxide teeth whitening gel into the mouth and leave it there. Some lower strength carbamide peroxide gel requires the tray to be left in the mouth overnight for 7 days. Some stronger ones however, might only require you to place the tray in the mouth for and hour for 7 days. These are the most common steps and instruction given. A custom made tray is usually made first by the dentist. This tray is actually molded according to your original teeth shape. Therefore the tray will fit snugly onto your teeth. Another name for this is a splint or a night guard commonly used for teeth grinding. The advantage of this is so that the gel does not spill out or bleach the gums and soft tissues in the mouth. This is very important for the professionally applied carbamide peroxide teeth whitening gel because the ones used by the dentist are usually very concentrated and one sitting is usually enough to complete the teeth whitening procedure. 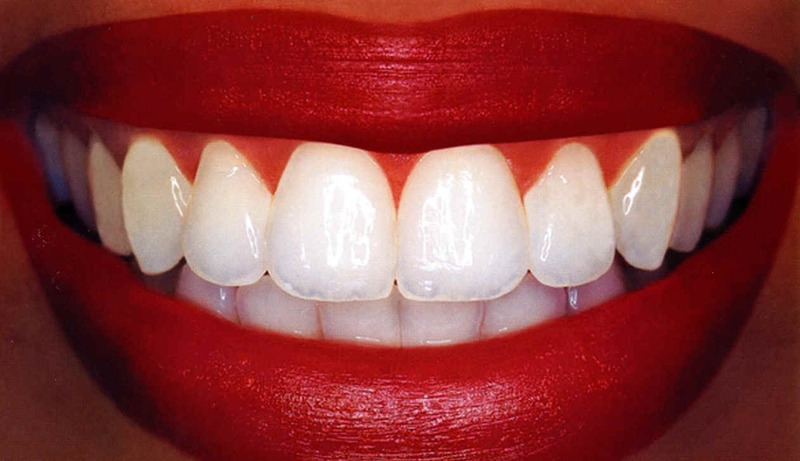 The steps are also the same, tray is loaded with carbamide peroxide teeth whitening gel and placed onto the teeth. Easily half of all patients who bleach their teeth notice some type of tooth sensitivity. It may take the form of thermal sensitivity which is a response to hot and cold temperature variations such as those produced by foods and beverages, sensitivity to air when a person breathes through their mouth, or simply generalized tooth discomfort. There is no way to predict if you are going to get tooth sensitivity after bleaching. However, a certain step can be taken to reduce the sensitivity. The best way is to use desensitizing toothpaste like Sensodyne 2 weeks before bleaching your teeth. It is also possible that during the whitening process a person’s gum tissue will become irritated by either the whitener they are using or else the bleaching tray itself. Whiteners with higher carbamide peroxide concentration will logically irritate the gum tissues more. Bleaching with carbamide peroxide is safe and effective as long as the proper concentration is used. Higher concentrations carry a higher risk of side effects such as chemical burns. 10% is widely regarded as safe. The commonly used concentration is 10% to 35 % carbamide peroxide. Teeth whitening is prohibited for children, as they are young and might even swallow large amounts of the carbaminde peroxide teeth whitening gel without anyone knowing. If at all you are not too sure or are concern about buying an over the counter teeth whitening gel, you can always visit a professional dentist to do it for you. The 35 carbamide peroxide teeth whitening gel in stabilized PH formula is much stronger tooth whitening agent compared to other lower strength tooth whitening gels. Therefore, the results can quickly be seen. It does not contain harmful acids or abrasives to damage your teeth or gums. Other teeth whitening products sold over-the-counter in drugstores are under 6% hydrogen peroxide and will not be as affective at whitening the teeth. The 22 carbamide peroxide teeth whitening gel has a lower concentration of carbamide peroxide.It has 3.8 grams of gel to a tube and it comes with a loading tray. It Does not work as fast as the 35% carbamide peroxide teeth whitening kit but it however reports less sensitivity of teeth. The whitening effect and shade is the same.